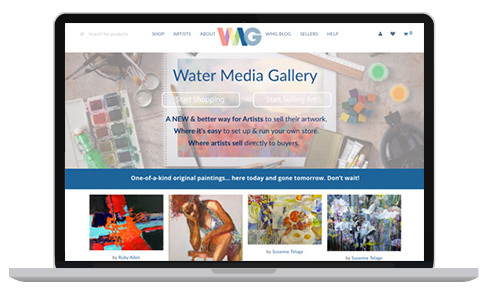 Join Susan Giannantonio for a free demonstration of WaterMediaGallery.com, a website dedicated to artists who wish to sell their work and, for a small monthly membership fee, artists receive 100% of their sale price. Each artist creates a store and adds paintings, prints or watermedia merchandise as he or she wishes. In this approx. 1 hour session Susan will walk you through the process of setting up your store. Following the demo there will be a Q&A. Want to watch a few how-to videos to prepare? Click https://watermediagallery.com/sellers/start-selling-videos/?v=7516fd43adaa and take a look.